We bet that once you read yesterday's speculation about an Apple iPhone with a 4.8 inch screen, you started daydreaming of what such a model would look like. You weren't the only one. Some, like Russian based Apple news site appledigger.ru, did more than just thought about it. 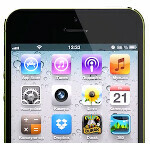 The site actually produced a rendering of what a 4.8 inch Apple iPhone might look like. The main change is a sixth row of apps that is one more than the Apple iPhone 5 has, and two more than what was on the Apple iPhone through the Apple iPhone 4S. 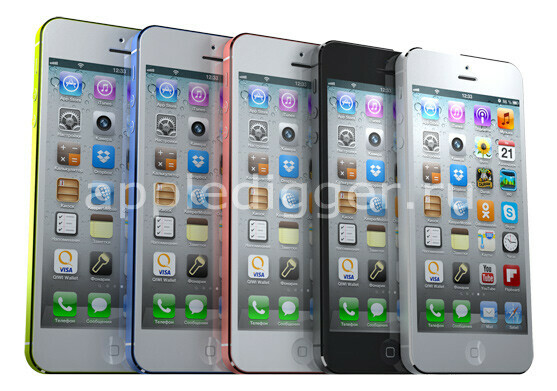 The so-called Apple iPhone Math rendering from appledigger.ru includes a 12MP camera and a variety of colors. The latest speculation calls for a 4.8 inch Apple iPhone to be launched no earlier than 2014. Until then, you can check out the video below to see what such a beast might look like. 4.8 inch? It will take a million year for Apple to complete that course of evolution. If apple doesnt change that ugly 6 years old UI that will be just sad. How do people even compare this to android, windows and BB10? Actually, I think the word is DATED. As in a UI that is dated. Lipstick on a pig is still a pig. I would love to see em lose the extra bezel. One of the things I do not like about an otherwise beautiful device. As usual u speak true, and intelligent... It's time for apple to hit one outta the park. I think this could b a make, or break device. Your thoughts please? Actually lipstik on a pig is still lipstick but a pig wearing lipstick is still a pig. "4.8 inch, taller but not wider" imagine how it would look! Blah blah boring, blah blah no innovation, blah blah android is superior. There now you dont have to read any of the comments and just read the article. Yeah that's typically how it goes on here unfortunately. how would you like the comment section to be? I will say this, the first thing that popped in my mind was that Samsung commercial: http://www.youtube.com/watch?v=nf5-Prx19ZM "This year we're finally getting everything we didn't get last year." Some other guy chimes in: "A big screen!" Did you guys miss the opening line..."We bet that once you read yesterday's speculation about an Apple iPhone with a 4.8 inch screen, you started daydreaming of what such a model would look like."...man! Alan really made all of us sound like iFans right there! !